Russian Ambassador Viktorov says Israel's security is important to Russia, but only part of his country's concerns. Russian Ambassador to Israel Anatoly Viktorov said his country is "very interested" in preserving Israel's security. Speaking in an interview with Israel's Channel 10, Viktorov said, "Israel's safety and security are not empty words, when it comes to Russia's foreign policy." 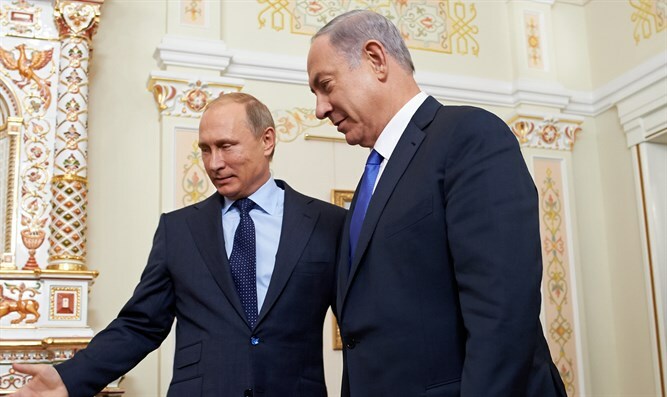 He added that Russia prefers to "ensure Israel's security" but implied that even though Russia takes Israel's demands into account, Israel is just one part of the larger picture of how Russia sees Syria's civil war." "Russia is ready and willing to take into consideration Israel's legitimate concerns for everything regarding her safety." Last week, Israeli Prime Minister Binyamin Netanyahu refused a Russian offer to keep Iranian forces 100 kilometers (62 miles) away from Israel's border, insisting the Iranian troops withdraw from Syria completely.